Suzann is Professor and Head of the Department of Physical Therapy at the University of Illinois at Chicago. 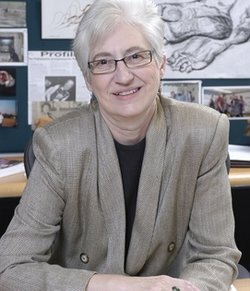 She previously held faculty positions in the medical schools of the University of Wisconsin-Madison and the University of North Carolina at Chapel Hill. She received her physical therapy education and a PhD in neurophysiology with a minor in child development from the University of Wisconsin-Madison. Her work experience includes physical therapy practice with children and infants in a residential care facility, in special care nurseries, and in outpatient clinics for management of movement dysfunction and for followup of infants at risk for delayed development and cerebral palsy; teaching in three research universities; and research on development of children with cerebral palsy, intervention for infants at risk for movement dysfunction, and measurement of motor development in infants and young children.